Empower your team to create insightful reports, analyze data, and make timely and informed decisions. Easy to use drag & drop analytical and reporting tool. Dig deeper into your sales pipeline, track key sales and purchase metrics, forecast sales, plan inventory and optimize your business processes. 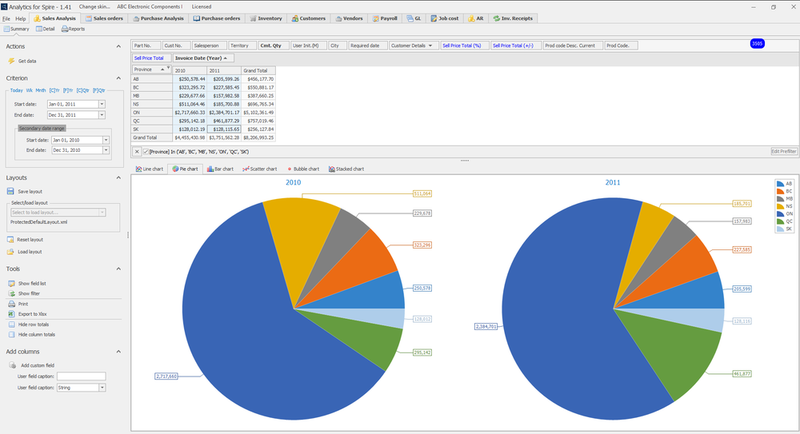 Installs with already useful report templates for fast, intuitive reporting. Supports user defined fields (UDFs) and allows for the creation of an unlimited number of module-based, page formatted reports. Access the data with SQL and create a view in Analytics, with full access to sorting, grouping, custom summaries and more. 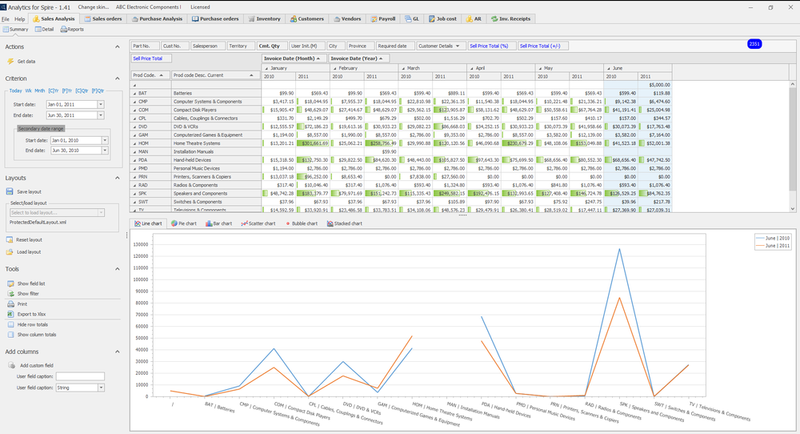 Make Sense of Your Critical Sales Data with Analytics for Spire. No programming or technical knowledge required.